According to the statement, news content produced around election time will be subjected to more stringent guidelines. Little information has been released since the announcement in early January, but the suggestion of such a law was enough to spark discussions about the relationship between the French government and the media —the president versus the press, “le pouvoir et la contrepouvoir,” or the power and counterpower. To some degree, this dynamic mirrors the relationship between the President of the United States and the American media, and yet France presents a unique case since its leadership is largely left of center in France. I briefly explore Macron’s personal relationship with fake news during the campaign and until his election as president. I then consider potential lines of reasoning for the proposed law, and in the process I argue that such an approach would be unwise for the Macron government. During the French campaign season, critics viewed this election as a proxy war in a grand showdown between liberal globalism on the one hand, and authoritarian fascism on the other. Some critics pointed to the outcome of the Brexit referendum and the U.S. presidential election as signs that the multicultural project was in retreat. In its place, they feared the rise of populist strongmen like Donald Trump, UKIP, and, in France’s case, Marine Le Pen and her National Front. Though this view neatly placed the French election into a larger narrative, it missed a perhaps more pressing point that counted as a factor in all three elections: the organized dissemination of lies and rumors. In France, these attacks were organized largely by Russian media outlets, and they especially targeted then-candidate Macron. Evidently, the Russian government had an interest in a Le Pen victory. Therefore, as her most successful competitor, Macron became the subject of scrutiny by the Kremlin-run news agencies Sputnik and Russia Today (RT). Unsupported gossip about Macron was sprinkled across articles, like the suggestions that he was secretly gay or that he had ties to Hillary Clinton. After some time, Macron banned RT and Sputnik from his campaign events, accusing them of operating as propaganda machines and funding cyberattack efforts against him. The news agencies, outraged, accused Macron of violating the freedom of the press. Macron was quite personally affected by the misinformation spread by Russian-run RT and Sputnik. Given his personal history with the press, is it therefore justifiable to impose restrictions on the content of news articles around election time? Let us first consider the facts. Emmanuel Macron won a plurality of the first round of the French election, and he defeated Marine Le Pen with an outright majority (66.1%) in the second. That he won, and by such a wide margin, puts to rest the charge that any false rumors or Russian-spread propaganda affected the results of the election, at least not to an extent that can be easily seen in the data. One may make the case that the “fake news” spread by RT and Sputnik surrounding the other candidates may have had a substantial enough effect to buoy Le Pen into the second round, since she placed second in the first round by about 1.3% of the vote. This, however, amounts to over 400,000 votes. Arguing that Russian media may have swayed those 400,000 voters is possible, but the claim is tenuous at best. In any case, the French election system allows for a second round, where the French people unquestionably chose Macron as their future president. If the intended goal of the Russians was, in fact, to ruin Macron’s chances by spreading gossip, they failed miserably. If the Russian agenda had nothing to do with influencing the outcome of the French election, but instead was organized to ruin the reputations of its candidates in order to decrease French confidence in their future government, then an anti-fake news law could be appropriate. Of course, if this were indeed the Russian agenda, then there must be some demonstrated decrease in French trust in their government since the election. But a study published in September 2017 concerning French political trust shows that this is not the case. Admittedly, French confidence in government is low, but the paper points to a steady trend of low confidence since the time of Nicolas Sarkozy in the mid-2000s. This mistrust, the study contends, is related not to false rumors spread by Russians, but to “broader political and sociodemographic variables” which the study tested. In other words, fake news had little to no effect on the level of confidence the French had in their representative government. Therefore, advocating stricter media regulations on the basis of protecting public confidence in government would be disingenuous. 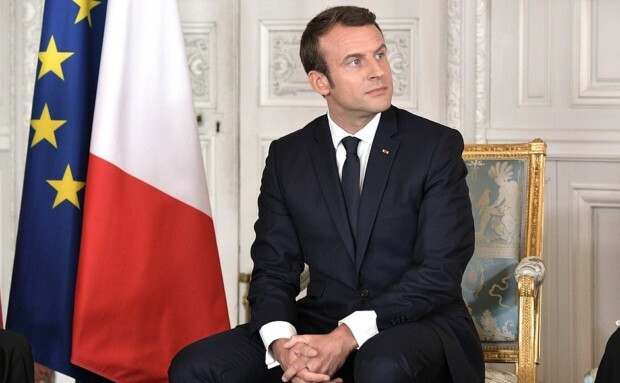 President Macron claims that this law’s intention is to “protect democracy from… fake news,” specifically in reference to false political rumors spread on social media outlets like Facebook and Twitter. However, there are two outstanding problems with this approach. First, by positioning itself as the guardian of truth, the French government would act as a censor. To be sure, the French government is not at all arguing for the censorship of any critical comments. Françoise Nyssen, the French Minister of Culture, has recently clarified that the law is limited in scope and would only affect those viral news stories classified as “fake.”The French government has not yet specified what standard will be used to determine a story’s falsehood, or which fake stories it will prioritize for removal. But what makes this case similar to China’s censorship is the codification of a hierarchy defining the “truth,” with the government at the top and social media companies and news agencies subject to its evaluation. No clear check on the government’s power has been specified. At present, French citizens may trust the judgment of Macron’s administration when it comes to the truth, but laws and institutions survive the test of time—political fortunes do not. In the hands of a leader with poorer judgment, this law would not serve to protect democracy, but to weaken it. Additionally, by undermining faith in the civilian population to form its own judgments about trustworthy sources, the government would sow mistrust and weaken its support among a populace already disappointed with its governance. According to a 2017 survey organized by the Kantar Group, an international market research organization, 56% of the French population count major television news networks as their main source of news. Of course, Kantar did not include RT France among those major news networks. Only 9% of those surveyed identified social media as their major news source. Furthermore, 73% stated that they do not trust news coming from social media, and 83% answered that they have identified fake news at some point online. The data thus reveal that the French population is not as susceptible to fake news stories as Macron’s proposed law would otherwise suggest. There is therefore little logical reasoning substantiating the claim that French democracy is falling prey to fake news stories. The virality of false news online does pose a challenge to the democratic process, and the issue is made all the more serious by the news’ propaganda-like nature. But censorship in the form advocated for by Macron and his government is not a realistic solution. A more effective approach would empower and educate French citizens to identify “fake news.” Admittedly, this would be no easy task. Nonetheless, the evidence cited throughout this analysis has repeatedly demonstrated the weakness of the proposed law’s limited scope. Guardian News, 3 Jan. 2018. Jan. 3, 2018, 8:48 AM. Tweet. Walt, Stephen M. “The Collapse of the Liberal World Order.” Foreign Policy, Foreign Policy, 26 June 2016. Grice, Andrew. “Fake News Handed Brexiteers the Referendum – and Now They Have No Idea What They’re Doing.” The Independent, Independent Digital News and Media, 18 Jan. 2017. “Ex-French Economy Minister Macron Could Be ‘US Agent’ Lobbying Banks’ Interests.” Sputnik International, Sputnik, 4 Feb. 2017. Reuters. “Emmanuel Macron’s Campaign Team Bans Russian News Outlets from Events.” The Guardian, Guardian News and Media, 27 Apr. 2017. Clarke, Seán, and Josh Holder. “French Presidential Election May 2017 – Full Second Round Results and Analysis.” The Guardian, Guardian News and Media, 26 May 2017. “Décision n° 2017-169 PDR Du 26 Avril 2017.” Conseil Constitutionnel, 26 Apr. 2017. Chauvel, Jeanne, et al. “Political Trust and Transparency in multi-level governance: new findings from the French regions” ECPR General Conference – Oslo University, 8th Sept. 2017. Su, Jean Baptiste. “France To Impose Restrictions On Facebook, Twitter In Fight Against Fake News During Elections.” Forbes, Forbes Magazine, 9 Jan. 2018. 24, France. “Rapid Response Will Be Central to New French Anti-Fake News Law.” France 24, 5 Feb. 2018. Marcé, Carine. “Baromètre 2017 De La Confiance Des Français Dans Les Media.” Kantar, Kantar Group, 2 Feb. 2017.